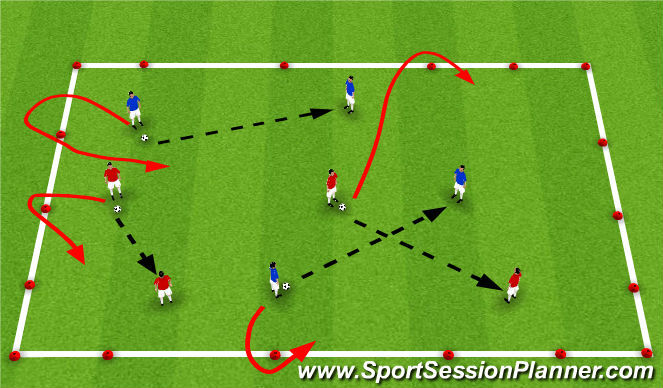 Communicate, Positive first touch, Come to the ball at angles, Receive the ball correctly, Pass ball with proper pace. Progress to 4s & 5s. 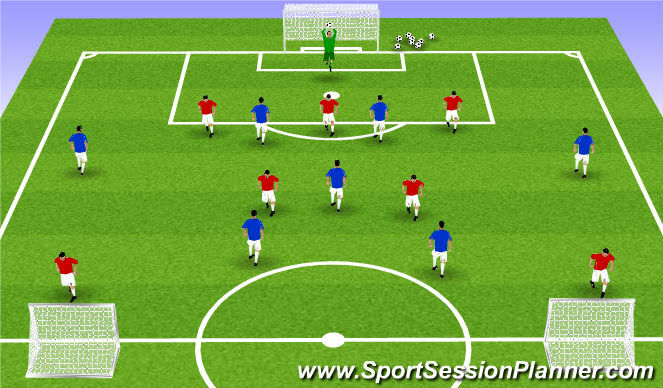 The player receiving the ball wide must compose themself before putting the ball in to the box. 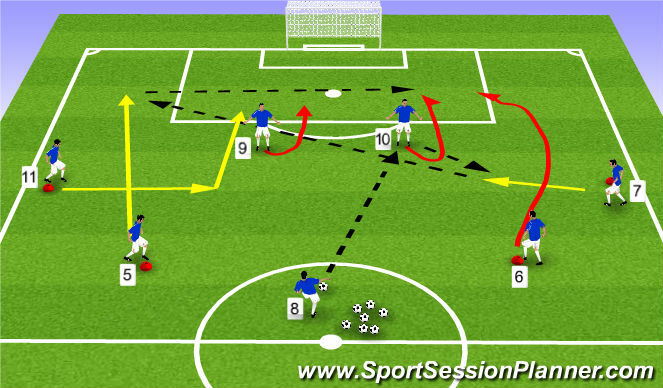 Target, aim for the run of a specific player, otherwise aim for between the penalty spot and 6yd box. Receiving player must shoot on either 1st of 2nd touch. Shot must be cleanly struck and composed. Game to focus on Blue team focus on getting the ball wide to 7 & 11 for a cross. Retain possession when necessary to ensure a patient build up. 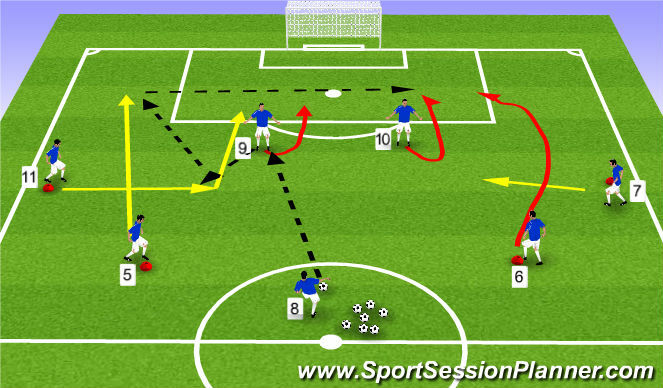 7, 9, 10 & 11 to combine movement to create gaps in the defence. Red team winning possession and playing out to wide areas through midfield. Score by a short pass into the small goals.